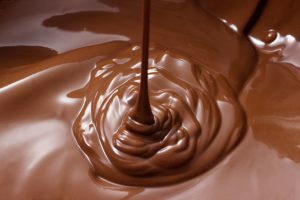 Chocolate Wax is a type of wax that is enriched with a plethora of natural ingredients like cocoa, almond oil, soya bean oil, sunflower oil, glycerin, and other skin nourishing compounds and vitamins including vitamin E and minerals. That being the reason why it’s so tender on skin. The major difference of normal wax from chocolate wax is that chocolate wax is smooth on the skin and does not call for pain or discomfort. This is a major win among women who avoid waxing due to the pain. Apart from that, chocolate wax has a lot more benefits to offer, removing tan and boosting the skin for a healthier glow. Chocolate wax also prevents in-grown hair and removes the tiniest of hair leaving a shine on the skin. Chocolate wax is not hot and has anti-inflammatory properties which leave a smooth and clean skin after use. The wax is applied when it is comfortable warm and hence imparts similar feelings like a cozy body pack. Consequently one feels refreshed and even pampered.